How Does Adoption in Georgia Work? Every state differs in terms of eligibility guidelines to adopt. In Georgia, you must be at least 25 years old and have at least 10 years of age difference with the child you are adopting. The exception to this rule is for family members who need to be only 21 years old to adopt a relative. If you are married, both spouses must agree with the adoption. You need to be physically, financially, and emotionally prepared for the adoption, and to be a parent. Through your home study, which will include three in-person meetings, background checks, and education, a licensed child-placing agency or a licensed social worker will evaluate you. Once your home study is complete, you will be eligible to receive a placement. To date, there are approximately 33 states that currently have some regulations and limits with regards to advertising to prospective birth mothers. In Georgia, in September 2018, a new law went into effect which bans the use of advertisement by anyone other than a child-placing agency. Because the new law is complicated, families who wish to advertise should do so only through a licensed entity. Once the families have contacted the birth mother, they may communicate independently. 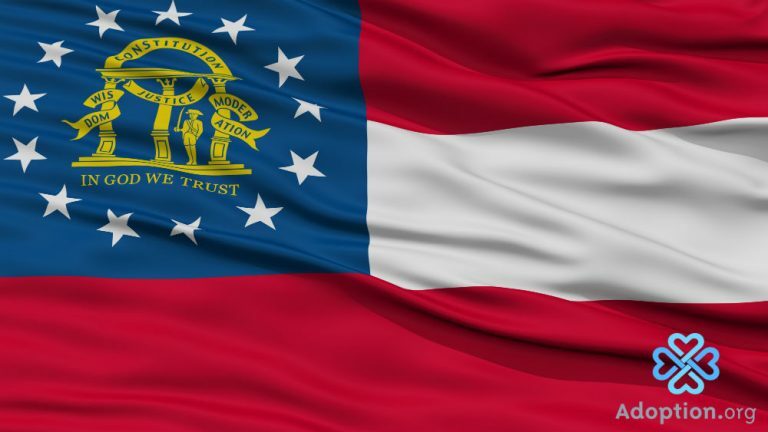 In Georgia, both agency and independent adoptions are legal. Under the same bill, which amended advertising, came a change to reimbursements that birth mothers are allowed to seek. Birth mothers may ask adoptive parents to cover basic living expenses, such as food, rent, transportation, medical expenses related to the pregnancy, and to the birth of the child. Before the family can enter with the Adoption Decree, the attorney for the adoptive parents will file an affidavit with the court listing all expenses and payments made in connection with the adoption. When the family conducts the adoption independently, the consent to terminate the parental rights of the child may occur any time after the birth. For licensed child-placing agencies, termination may occur after 24 hours. Once the birth parents give legal consent, termination occurs, and the child is placed with the child-placing agency. The adoptive parents may assume guardianship of the child at this time through an Order of Guardianship, or by temporarily assuming foster care status with the State of Georgia’s Department of Human Resources. The birth parents may revoke their decision four days after signing. After four days, the consent becomes irrevocable. With regards to future contact, the birth mother will be asked to sign Georgia’s Adoption Reunion Registry and indicate her preference for future communication. She may amend this decision at any time. At the age of 18, the adoptive child will be permitted to access the Adoption Reunion Registry should they wish to do so. Once you are home with your new child, you can expect at least two home visits by a licensed social worker to check-in on how you and your child are doing. In other states, you may have more frequent visits. The social worker will conduct home visits before finalizing the adoption in court at least one month in advance. To finalize the adoption, you must successfully complete the state’s period of supervision. Out of state parents do not need to return to Georgia to finalize their adoption but may do so in their own state courts. Once the adoption is complete, the child will receive a new birth certificate with the new name. For those interested in foster care, the process is slightly different. To begin with, families need to attend an informational session, then go through pre-service training, a family evaluation, receive a placement, and then go through the process of finalization. To learn more about adopting from foster care, visit the State of Georgia’s Division of Family and Children Services.